Returning to Glasgow, Scotland, after the blue skies of Nashville’s AmericanaFest, the seasons here have already changed – the nights are dark, it’s cold, and layers of warm clothing are immediately required. But alongside the autumn chill comes the eager anticipation of Glasgow’s own AmericanaFest – Glasgow Americana – which takes place in October and is now in its 11th year. Glasgow Americana is a small festival, but has earned a reputation as the destination for many future stars of Americana. Glasgow Americana audiences are magical – they are attentive, welcoming and friendly. There is a sense of community here, and many musicians return repeatedly. The festival director, Kevin Morris, plays a big part in that; quietly unassuming, he is responsible for making Glasgow possibly the best city in the UK to see Americana music. Sturgill Simpson has played the festival many times, and I have brilliant memories of listening to him play and talk in a tiny pub to an audience of around 50 people. Glasgow Americana has now grown to span five days and include over 20 performances. Venues are spread across the city, ranging from glorious converted churches to small pubs, and Glasgow is compact enough to enable relatively easy access to everything. This year, however, there were parallel events on several days, adding more choice but requiring some very difficult decisions. As always, I tend to opt to see musicians I’m unfamiliar with, always looking for the next undiscovered gem. This year’s Glasgow Americana was richly scattered with such gems. The 2017 festival began with a tribute to the late, great Townes Van Zandt. 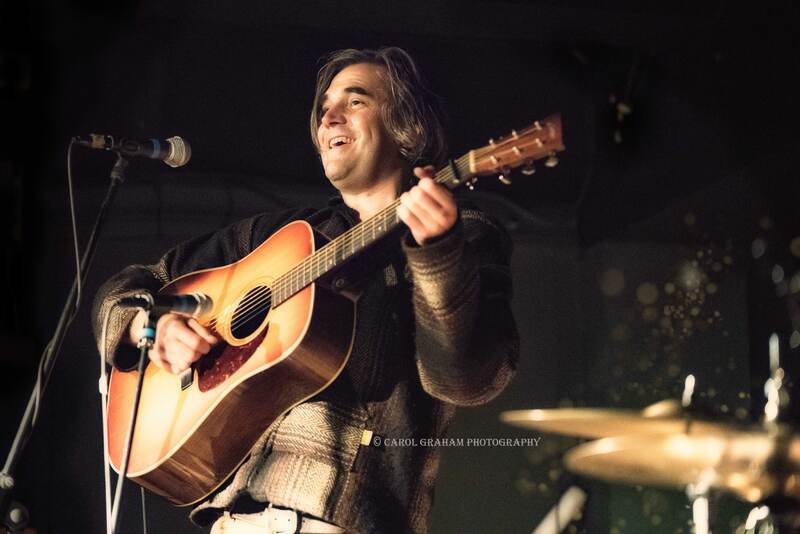 Held in a craft brewery in Glasgow, the opening night had a wide range of artists each covering some classic Townes material as well as showcasing their own music. Artists included Rachel Sermani, Roseanne Reid, Norrie McCulloch, Davie Scott (The Pearlfishers), Jefferson Hamer, and even a vibrant female choir. 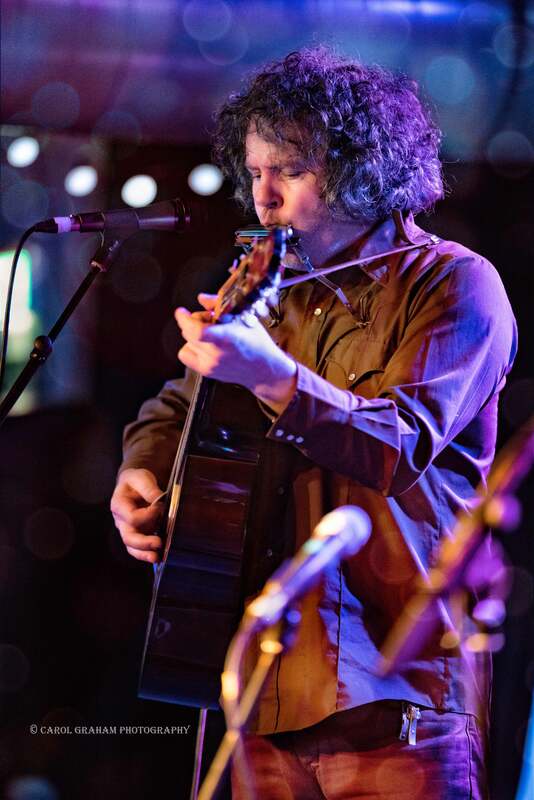 Singer-songwriter McCulloch is a name to watch – his recently released Townes Blues EP is reaping heaps of praise in Scotland, featuring songs written by Townes Van Zandt alongside “Mountain Blues,” a song inspired by his pilgrimage to Townes’ graveside. 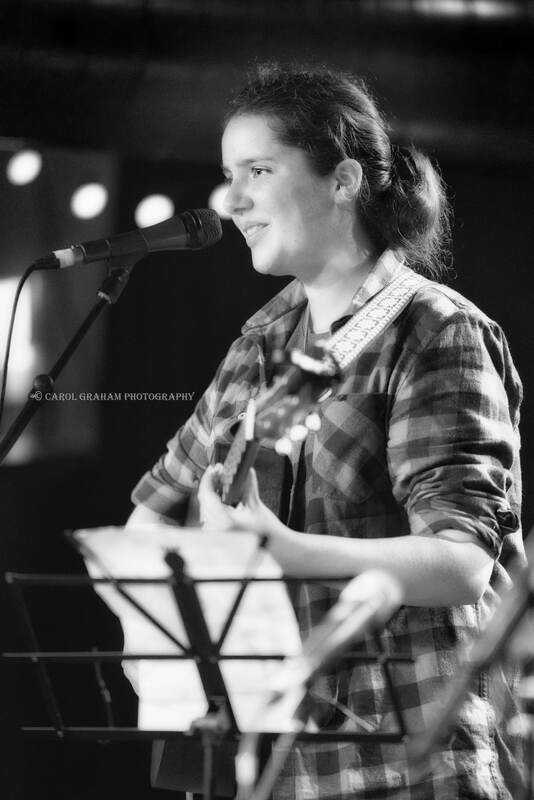 Roseanne Reid is another Scots singer-songwriter that is destined for greater fame. As well as the opening event, Reid played her own show during the festival. Reid is currently recording her debut album after a successful Kickstarter campaign, promoted and supported by no less than Steve Earle and Teddy Thompson. With beautiful vocals and heartfelt lyrics, she is an artist that truly deserves success. Jefferson Hamer also played his own show during the festival, with huge energy and variety. Having previously only seen him with Anais Mitchell performing Child Ballads, it was a real treat to hear him in his own right. Accompanied by Admiral Fallow frontman Louis Abbott as drummer, and with lots of humor, this was a truly special and unique show. 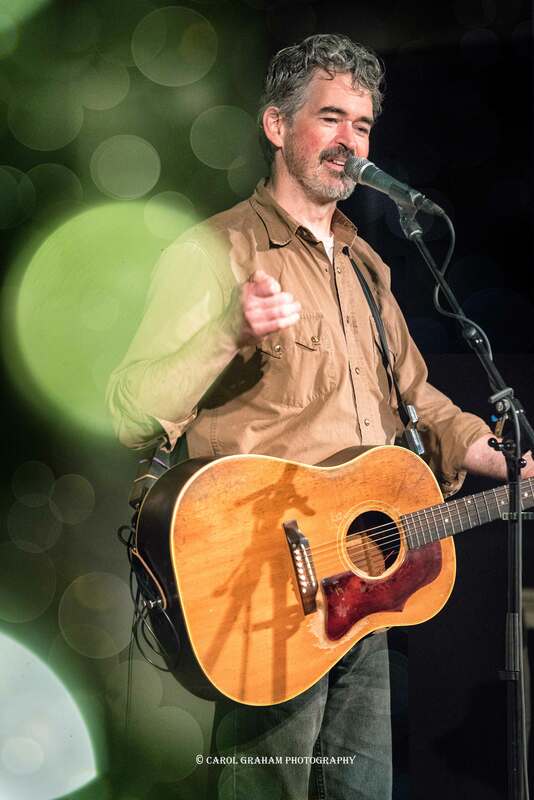 Slaid Cleaves made a welcome return to Glasgow Americana, playing at St Andrews-in-the-Square, a wonderful 18th-century church building. 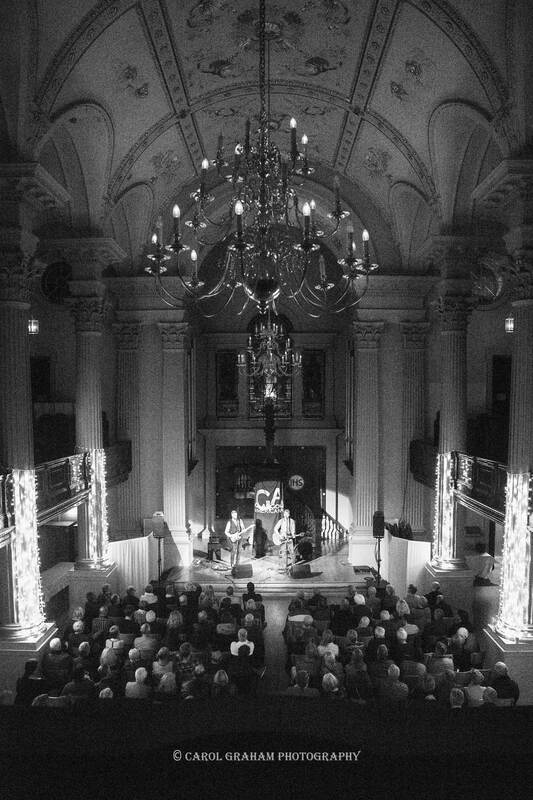 Cleaves used the church’s glorious acoustics to great effect, and after a full set covering both new material and his lengthy back catalog, wandered into the audience for a beautiful, unamplified encore. Cleaves was accompanied by musician MC Hansen, a new name to me and someone I would love to see return to Glasgow for his own show. The headlining performance on Saturday evening, and a highlight of the festival, was Martha Fields and her band, who were touring to promote Southern White Lies. “Texas Martha” – sporting a colourful feathered hat – was accompanied by two of her band, Manu Bertrand (banjo, dobro) and Olivier Leclerc (fiddle). Together they delighted the audience and completely blew the roof off the Glasgow venue with their accomplished French-Texan brand of bluegrass and country music, exemplifying why Glasgow Americana is so special.